We are so grateful for the thousands of you who joined us this year in fighting gendercide globally. Since the film was released last year, it has screened over 500 times globally, has been broadcast on television in India, Ireland, Nigeria, Poland, New Zealand, and reached thousands more through our DVD and iTunes release this year. 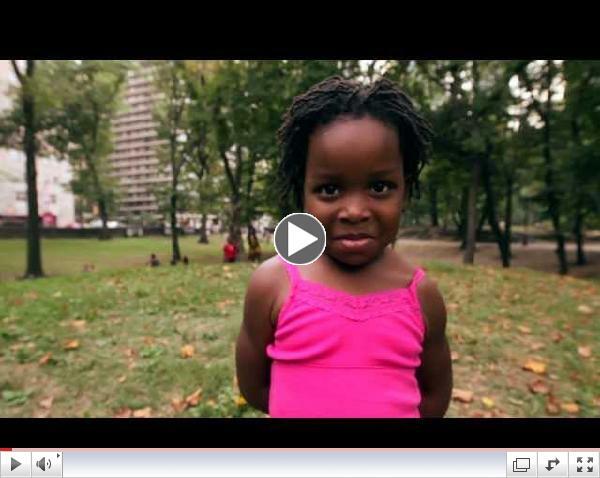 January 15 – Music Video Released: We announced the release of Omékongo Dibinga’s music video inspired by It’s a Girl! Omékongo’s video brought greater attention to the global issue of gendercide and still continues to make an impact! March 8 – International Women’s Day: Eighteen groups around the globe brought respect to women and girls by celebrating International Women’s Day with a screening of It’s a Girl during this week! 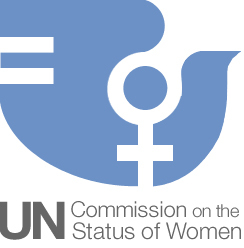 March 4-9 – UN Commission on the Status of Women: It’s a Girl screened several times during the United Nation’s Commission on the Status of Women (UNCSW) in New York! Governmental leaders around the world met for this event known as the primary policy-making body on the planet when it comes to gender equality and women’s rights. The theme this year was the elimination of violence against women and girls. 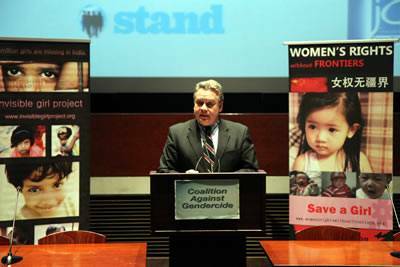 April 25 – Capitol Hill Screening for U.S. Congress: Bipartisan members of U.S. Congress stood with the Coalition Against Gendercide to host a screening of It’s a Girl! This screening took place in the Capitol building in Washington D.C., in conjunction with the Tom Lantos Commission on Human Rights. 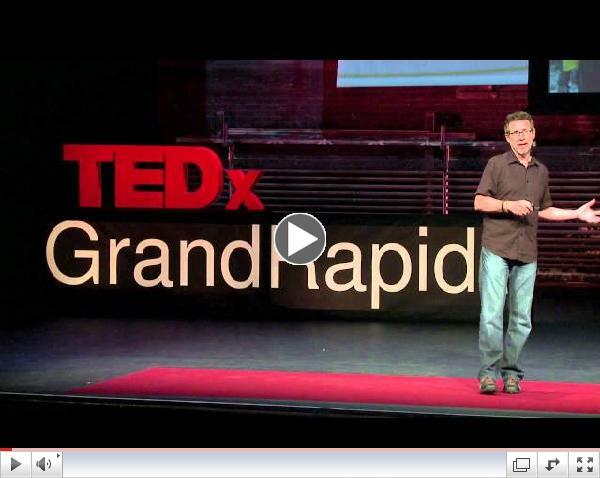 May 9 – TEDxGrandRapids: It’s a Girl film director Evan Grae Davis was invited to speak at TEDxGrandRapids, engaging an audience of 750 leaders, influencers and innovators from the West-Michigan area. You can watch the video now, titled: How to Become a Culture-Changer. 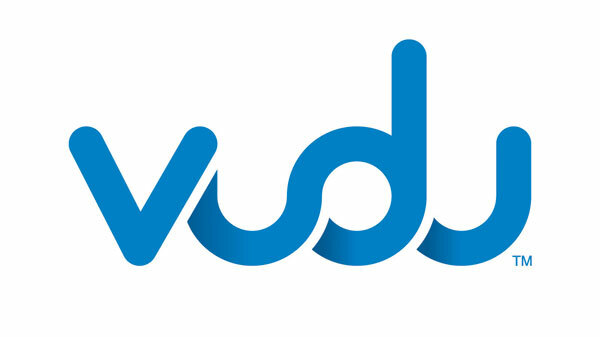 May 28-30 – Women Deliver: It’s a Girl and the It’s a Girl Music Video were screened during the Women Deliver global conferencein Malaysia. September 24 – DVD and iTunes Release: you helped bring It’s a Girl to a worldwide audience through DVD and iTunes! Within one week of its release, It’s a Girl hit #7 in the Documentary genre and #2 in the Foreign Films genre on iTunes! This means more people were exposed to the truth about gendercide and thus more people have joined the campaign to end gendercide! October 11 – UN International Day of the Girl Child: It’s a Girl released on more platforms on the second UN International Day of the Girl Child. 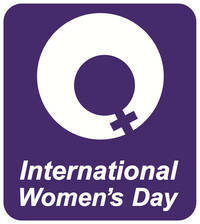 This day is meant to promote girls’ rights and highlight gender inequalities that remain between girls and boys. 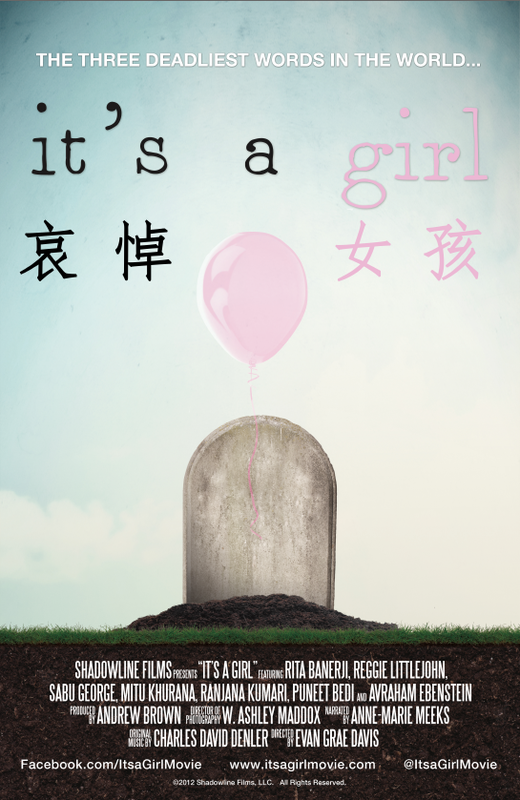 November 18-19 – Premiere on Chinese Soil: It’s a Girl screens for the first time on Chinese soil! Amnesty International’s Premiere of It’s a Girl in Hong Kong was followed by a presentation from Women’s Rights Without Frontiers’ President Reggie Littlejohn. Littlejohn’s visit demonstrates a growing international opposition to forced abortion as violence against women. In connection with the film screening, she met with top human rights leaders, lawyers and legislators to discuss the state of China’s population policy. Thank you all for a great year in the fight against gendercide! Today is known as Giving Tuesday, and on this day it is our greatest desire that you would consider giving to the women and girls of China. We are working with Women’s Rights Without Frontiers, an international coalition that opposes forced abortion and sexual slavery in China. Our goal is to raise public awareness regarding the coercive enforcement of China’s One Child Policy, the connection between this coercion and human trafficking in Asia, and the other human rights abuses that arise out of this coercive enforcement. In recent news under the misleading headline, “China to Ease One-Child Policy,” Xinhua reports that China will now lift the ban on a second child, if either parent is an only child. This minor reform will not “ease” the One Child Policy. It will merely tweak it. The problem with the One Child Policy is not the number of children “allowed.” Rather, it is the fact that the Chinese Communist Party is telling women how many children they can have and then enforcing that limit through forced abortion, forced sterilization and infanticide. Regardless of the number of children allowed, women who get pregnant without permission will still be dragged out of their homes, strapped down to tables and forced to abort babies that they want, even up to the ninth month of pregnancy. Your generous gift supports Women’s Rights Without Frontiers’ fight against gendercide and forced abortion. WRWF is working on the ground in China to protect women who are hiding to escape forced abortions and giving much-needed financial help to mothers of baby girls. The more we raise, the more women we can help. If we reach our goal of $30,000 we will be able to support 100 mothers and their baby girls for a year.